Two years ago, the Bloomington League of Women Voters developed the “Voter’s Info Guide.” Based on its popularity, we have created the “2018 Voter's Info Guide” which provides more information about the primary and the candidates for the November elections in Bloomington precincts. Print it out and bring it to the polls with you. The Office of Secretary of State website is a reference on voting in the 2018 elections in Minnesota. Learn where to vote in Bloomington, who your city elected officials are, and contact the Mayor or city offices. Clicking on the State Seal (left) takes you to the Vote MN site where you can learn about registering to vote, and who your state elected officials are. 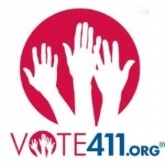 Vote 411 is a website which allows you to learn about voting in general, and find information relevant to your particular location.